Buying real estate anywhere can be a stressful process. Once you add the extra unknowns to the decision to move to a new community — the nuances of a different climate, the schools, the driving distances and the distinctive “feel” of a particular neighborhood – the process may seem, at first, to be daunting. Platinum Properties is committed to making your purchase of property in the Bozeman community a positive and rewarding experience. Once we sign on as your team we are focused on representing your needs and interests by effectively targeting the choice properties that meet your requirements. We are knowledgeable about the area, property values, and what is available. The Platinum Team will consult with you to help determine your priorities. Bozeman offers a wide range of properties encompassing all kinds of lifestyle choices, from private retreats surrounded by pristine landscape perfect for the fishing or horse enthusiast to historic neighborhoods in Bozeman’s charming downtown district. We can locate a spectacular upscale residence with acreage, a modest vacation home, or a cozy house with a breathtaking view of the valley and mountains. There are condos, golf properties, log cabins by the ski resort, and much more. The search begins with determining what you desire. We’ll help locate the perfect property and supply you with a list of excellent architects and builders, helping coordinate your personal style, your price range and the amenities that best suit your lifestyle. Do you want sweeping views of Montana’s gorgeous vistas or easy access to shopping and the airport? Do you need a lender to begin the process of applying for financing? Or, perhaps, assistance with a 1031 Exchange? Whatever your needs, Sally and the Platinum Team are at your service to guide and help you in this very important decision. You can trust us to value your time and needs. We will share your dreams and make them materialize. We will work together to identify and select the right property for you. – We have all the resources and technology currently available, along with our vast knowledge of the Bozeman/Gallatin Valley area. – We will narrow the search to the available properties that meet your specifications. – We may need to negotiate a private sale between you and a land owner who has not yet listed their property in order to secure the perfect property for you. If you are from outside the Bozeman area, we will gladly help arrange your hotel and dinner reservations, and spend whatever time you have showing you the properties best suited to your desires. We will review the asking price, disclosure packet, and all pertinent information to help you determine the right offer. We will also negotiate for you to oversee that your interests are best served. Once a contract is accepted, we will assist you through the myriad of details that go into a closing beginning with supplying you with a list of competent and qualified home inspectors; the inspection phase is usually 15 days, and Preliminary Title Insurance is typically 10 working days. Once completed, you can either accept or reject the property based on the findings, or amend your contract accordingly. We guide you every step of the way through the due diligence phase. If applicable, we will secure a copy of Home Owners Association covenants. At your request, to help you choose and hire a professional, we will supply you with names of surveyors, appraisers, lawyers, 1031 Exchange specialists, real estate tax specialists, potential lenders, architects, and builders in the Bozeman Area. Our goal is to facilitate your move into Bozeman, Montana, or from one home to another in the Gallatin Valley, in a smooth, professional and reassuring manner. We are excited about welcoming and supporting your move not just as homeowners, but as vital new members of this vibrant and dynamic community. 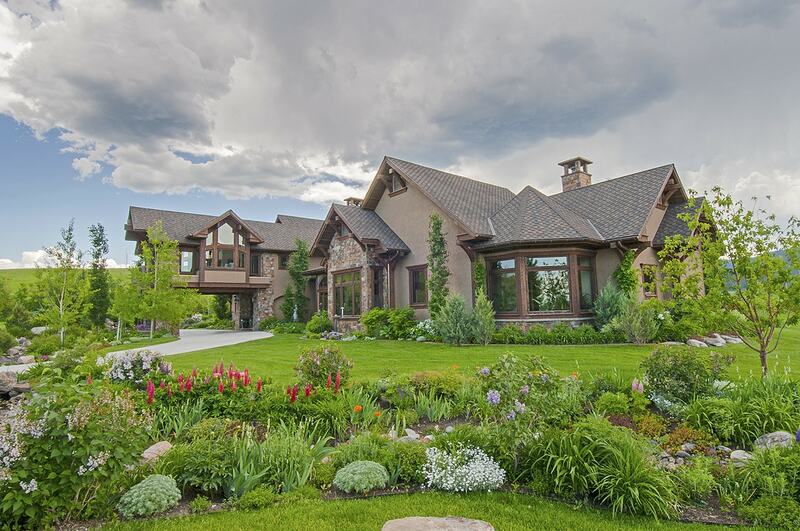 The Platinum Team loves all the facets of Bozeman and want to help you own your very own piece of Montana!